Marc and Isambard Brunel. 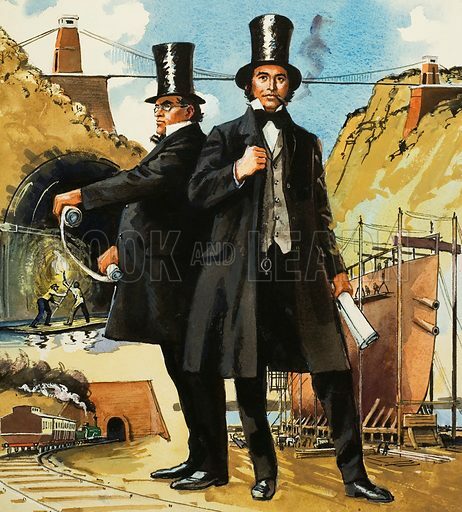 Tunnels, ships and bridges - these were only a few of the fields of engineering in which Marc and Isambard Brunel exercised their incredible talents, giving to Britain in the process a legacy which will survive for centuries. Original artwork for illustration on p80 of World of Knowledge Annual 1981. Lent for scanning by The Gallery of Illustration.